This story does not end well. I think you should know that before you become emotionally invested or, even worse, follow my example. After the tasting but before the photo editing I considered whether I should try again, and again if necessary, until I'd produced a reliable cake whose recipe I could share in good conscience. On the other hand, the internet is full of reliable cake recipes. This one was kind of a disaster, but it was a beautiful disaster. 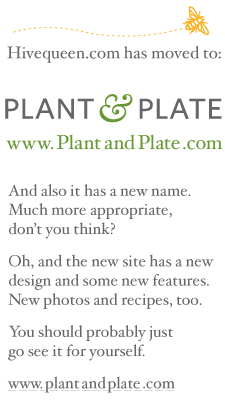 I love dishes that put ingredients into an unusual context and make it work. Olive oil ice cream. Rosemary chocolate. Basil sorbet. 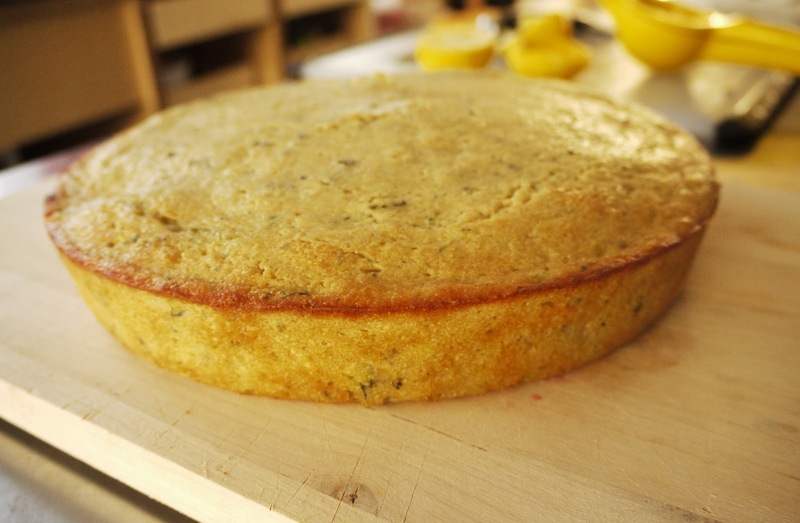 Finding myself with another overlarge zucchini on a bright summer day, I thought that instead of our typical chocolate zucchini cake I might try making a zucchini cake with lemon, rosemary, and thyme. I found what looked like a nice recipe with plenty of lemony goodness and two full cups of zucchini at http://www.kitchenklatsch.com/2011/07/zucchini-lemon-loaf-cake.html. Easy enough, I figured, to add some finely chopped fresh rosemary and thyme. Now, many people say that you should never, ever make changes to a baking recipe. That it is an exact science, and directions must be followed precisely. This is not quite true. You shouldn't go changing the ratio of wet and dry ingredients, or eliminate eggs without adding another form of structural support, but as long as you respect the chemistry and physics, you can get away with a lot of tweaks. Almond milk for cow milk? Fine. Substituting spices, or, in this case, adding a tablespoon of chopped herbs? No problem. Baking it in a different pan than called for? Usually okay, as long as you adjust the cooking time accordingly. I went with a round cake pan instead of a loaf pan, because I was getting hungry and wanted to reduce the cooking time so I could start roasting potatoes for dinner. 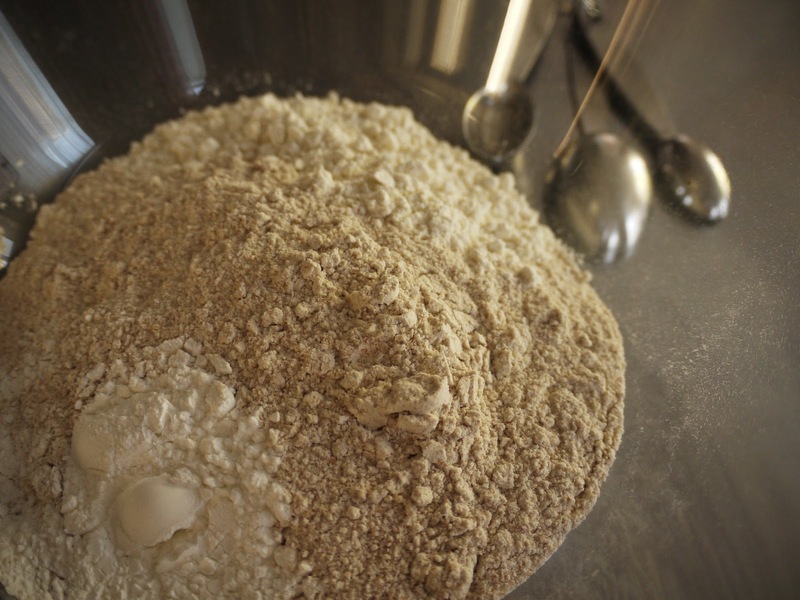 Realizing you're low on all-purpose flour and substituting whole-wheat flour for half the amount? Depends on what you're making — I wouldn't do it with croissants or gougeres, but it's probably fine in a muffin or quick bread. A cake will end up a bit heavier, which will ruin a cake that needs to be super-light and fluffy, but I figured would probably be okay in a zucchini cake. Other than that, I followed Corinna's directions pretty closely. 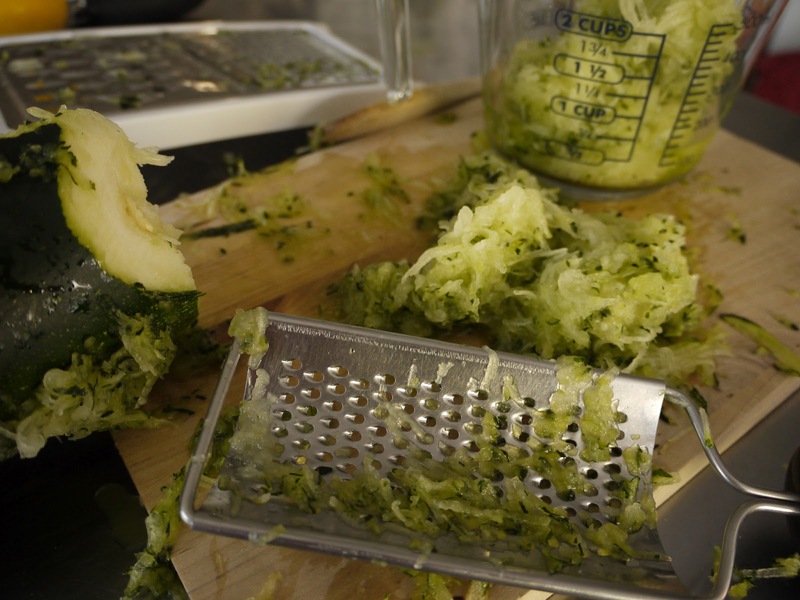 She said to shred the zucchini onto a kitchen towel, let it sit, and then wring out all the excess moisture. 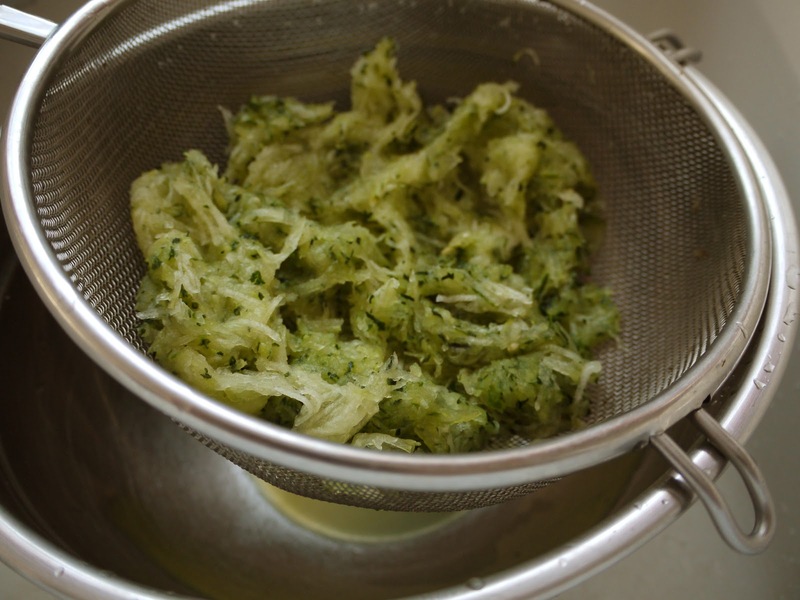 I shredded it into a sieve, let it sit, and smushed it with a spoon to squeeze out as much moisture as I could. In retrospect, I suspect this did not eliminate quite as much moisture as the towel method. Also, I think I should've used a coarser grater. I finished mixing the batter, spooned it into my well-buttered silicone cake pan, slid it into the oven, and started doing the dishes. A few minutes later, I got to the cutting board and realized I'd forgotten to add the herbs. I'd chopped them, planning to mix them in at the end, but they weren't in the original recipe and I forgot about them. 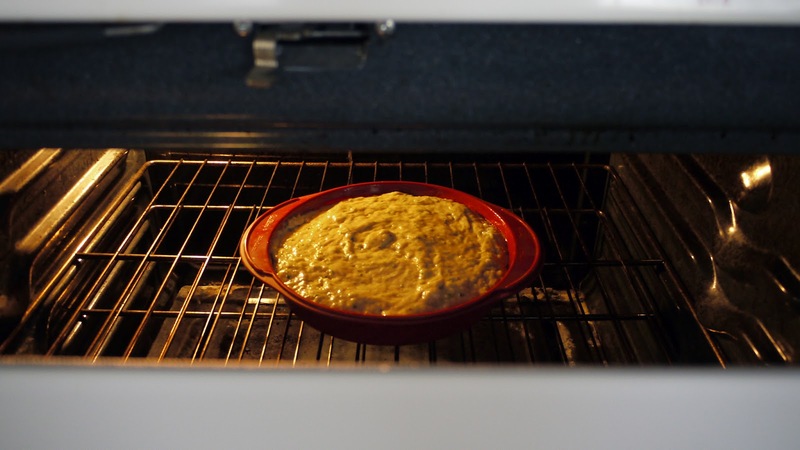 Now, after six minutes in a hot oven, the cake is just starting to rise, as the leavening begins to fill the batter with bubbles. These bubbles are what makes the cake fluffy. It's important that they have a chance to develop while the cake batter is still liquid, and that they remain undisturbed so that the batter can firm up around them. If your mother ever yelled at you not to go running through the kitchen or slam the oven door when a cake was baking, it was so that the shock wouldn't collapse the bubbles, causing the cake to fall. Or because she had a hangover. But it was probably so the cake wouldn't fall. I knew all this, but I had this vision of the rosemary-thyme-lemon flavor combination, and so I foolishly opened the oven, pulled out the rack, and gently stirred the chopped herbs into the cake. Of course, this collapsed most of the bubbles. I told myself that it was still early enough in the baking that more bubbles would have a chance to form before the batter set. Some did, and the cake rose a bit, but not as much as it should have. 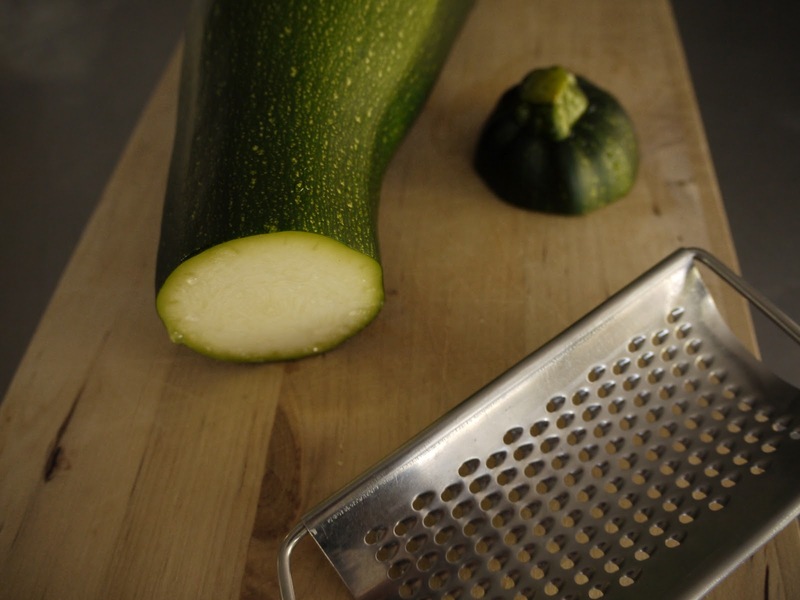 That, combined with the extra-wet zucchini, the heavier wheat flour, and the fact that I wasn't sure how much time to subtract for the different pan meant that when I pulled out the lovely, golden cake and cut into it, it was disappointing. Not terrible, but not quite right. Wet instead of moist. Heavy instead of dense. The flavor was a little floury — not too sure what caused that. It would help if I'd previously made the recipe as written, so I would know how the original tasted, how moist she meant by "this cake is really moist," and whether the recipe as written was good enough to try again or if I should take a different direction. There's another zucchini in the bed getting on towards cake-making size. Maybe next weekend.